Sold by Alif Books and Fulfilled by Amazon. Sold by Alif Books and ships from Amazon Fulfillment. 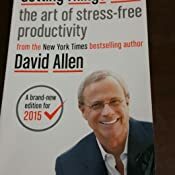 David Allen has been called one of the world’s most influential thinkers on productivity and has been a keynote speaker and facilitator for such organizations as New York Life, the World Bank, the Ford Foundation, L.L. Bean, and the U.S. Navy, and he conducts workshops for individuals and organizations across the country. He is the president of The David Allen Company and has more than twenty years experience as a management consultant and executive coach. 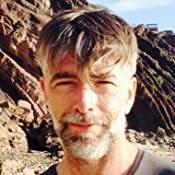 His work has been featured in Fast Company, Fortune, the Los Angeles Times, The New York Times, The Wall Street Journal, and many other publications. Getting Things Done has been published in twelve foreign countries. 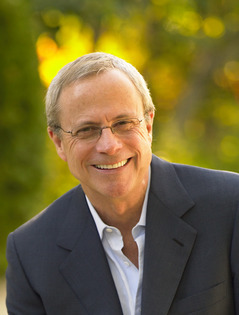 David Allen lives in Ojai, California. 1. Time management. 2. Self-management (Psychology). I. Title. Many mentors, partners, colleagues, staff, and friends have contributed over the years to my understanding and development of the principles in Getting Things Done. George Mayer, Michael Bookbinder, Ted Drake, Dean Acheson, and Russell Bishop played key roles along my path of personal and professional growth. Ron Medved, Sally McGhee, Leslie Boyer, Tom Boyer, Pam Tarrantine, and Kelly Forrister contributed in their own ways to my work as it matured. In addition, tens of thousands of clients and workshop participants have helped validate and fine-tune these models. Particular thanks go to the senior human resource strategists who early on recognized the significance of this material in changing their corporate cultures, and who gave me the opportunity to do that—in particular: Michael Winston, Ben Cannon, Susan Valaskovic, Patricia Carlyle, Manny Berger, Carola Endicott, Klara Sztucinski, and Elliott Kellman. The administrative and moral support that Shar Kanan and Andra Carasso gave me over many years was priceless. This book itself could not have happened the way it has without the unique energies and perspectives of Tom Hagan, John and Laura McBride, Steve Lewers, Doe Coover, Greg Stikeleather, Steve Shull, and Marian Bateman. And much credit is due my editor, Janet Goldstein, who has been a marvelous (and patient) instructor in the art and craft of book writing. Finally, deepest thanks go to my spiritual coach, J-R, for being such an awesome guide and consistent reminder of my real priorities; and to my incredible wife, Kathryn, for her trust, love, hard work, and the beauty she has brought into my life. WELCOME TO A gold mine of insights into strategies for how to have more energy, be more relaxed, and get a lot more accomplished with much less effort. If you’re like me, you like getting things done and doing them well, and yet you also want to savor life in ways that seem increasingly elusive if not downright impossible if you’re working too hard. This doesn’t have to be an either-or proposition. It is possible to be effectively doing while you are delightfully being, in your ordinary workaday world. I think efficiency is a good thing. Maybe what you’re doing is important, interesting, or useful; or maybe it isn’t but it has to be done anyway. In the first case you want to get as much return as you can on your investment of time and energy. In the second, you want to get on to other things as fast as you can, without any nagging loose ends. And whatever you’re doing, you’d probably like to be more relaxed, confident that whatever you’re doing at the moment is just what you need to be doing—that having a beer with your staff after hours, gazing at your sleeping child in his or her crib at midnight, answering the e-mail in front of you, or spending a few informal minutes with the potential new client after the meeting is exactly what you ought to be doing, as you’re doing it. The art of resting the mind and the power of dismissing from it all care and worry is probably one of the secrets of our great men. Teaching you how to be maximally efficient and relaxed, whenever you need or want to be, was my main purpose in writing this book. I have searched for a long time, as you may have, for answers to the questions of what to do, when to do it, and how to do it. And after twenty-plus years of developing and applying new methods for personal and organizational productivity, alongside years of rigorous exploration in the self-development arena, I can attest that there is no single, once-and-for-all solution. No software, seminar, cool personal planner, or personal mission statement will simplify your workday or make your choices for you as you move through your day, week, and life. What’s more, just when you learn how to enhance your productivity and decision-making at one level, you’ll graduate to the next accepted batch of responsibilities and creative goals, whose new challenges will defy the ability of any simple formula or buzzword-du-jour to get you what you want, the way you want to get it. But if there’s no single means of perfecting personal organization and productivity, there are things we can do to facilitate them. As I have personally matured, from year to year, I’ve found deeper and more meaningful, more significant things to focus on and be aware of and do. And I’ve uncovered simple processes that we can all learn to use that will vastly improve our ability to deal proactively and constructively with the mundane realities of the world. What follows is a compilation of more than two decades’ worth of discoveries about personal productivity, a guide to maximizing output and minimizing input, and to doing so in a world in which work is increasingly voluminous and ambiguous. I have spent many thousands of hours coaching people “in the trenches” at their desks, helping them process and organize all of their work at hand. The methods I have uncovered have proved to be highly effective in all types of organizations, at every job level, across cultures, and even at home and school. After twenty years of coaching and training some of the world’s most sophisticated and productive professionals, I know the world is hungry for these methods. Executives at the top are looking to instill “ruthless execution” in themselves and their people as a basic standard. They know, and I know, that behind closed doors, after hours, there remain unanswered calls, tasks to be delegated, unprocessed issues from meetings and conversations, personal responsibilities unmanaged, and dozens of e-mails still not dealt with. Many of these businesspeople are successful because the crises they solve and the opportunities they take advantage of are bigger than the problems they allow and create in their own offices and briefcases. But given the pace of business and life today, the equation is in question. On the one hand, we need proven tools that can help people focus their energies strategically and tactically without letting anything fall through the cracks. On the other, we need to create work environments and skills that will keep the most invested people from burning out due to stress. We need positive work-style standards that will attract and retain the best and brightest. We know this information is sorely needed in organizations. It’s also needed in schools, where our kids are still not being taught how to process information, how to focus on outcomes, or what actions to take to make them happen. And for all of us individually, it’s needed so we can take advantage of all the opportunities we’re given to add value to our world in a sustainable, self-nurturing way. The power, simplicity, and effectiveness of what I’m talking about in Getting Things Done are best experienced as experiences, in real time, with real situations in your real world. Necessarily, the book must put the essence of this dynamic art of workflow management and personal productivity into a linear format. I’ve tried to organize it in such a way as to give you both the inspiring big-picture view and a taste of immediate results as you go along. The book is divided into three parts. Part 1 describes the whole game, providing a brief overview of the system and an explanation of why it’s unique and timely, and then presenting the basic methodologies themselves in their most condensed and basic form. Part 2 shows you how to implement the system. It’s your personal coaching, step by step, on the nitty-gritty application of the models. Part 3 goes even deeper, describing the subtler and more profound results you can expect when you incorporate the methodologies and models into your work and your life. I want you to hop in. I want you to test this stuff out, even challenge it. I want you to find out for yourself that what I promise is not only possible but instantly accessible to you personally. And I want you to know that everything I propose is easy to do. It involves no new skills at all. You already know how to focus, how to write things down, how to decide on outcomes and actions, and how to review options and make choices. You’ll validate that many of the things you’ve been doing instinctively and intuitively all along are right. I’ll give you ways to leverage those basic skills into new plateaus of effectiveness. I want to inspire you to put all this into a new behavior set that will blow your mind. Throughout the book I refer to my coaching and seminars on this material. I’ve worked as a “management consultant” for the last two decades, alone and in small partnerships. My work has consisted primarily of doing private productivity coaching and conducting seminars based on the methods presented here. I (and my colleagues) have coached more than a thousand individuals, trained hundreds of thousands of professionals, and delivered many hundreds of public seminars. This is the background from which I have drawn my experience and examples. IT’S POSSIBLE FOR a person to have an overwhelming number of things to do and still function productively with a clear head and a positive sense of relaxed control. That’s a great way to live and work, at elevated levels of effectiveness and efficiency. It’s also becoming a critical operational style required of successful and high-performing professionals. You already know how to do everything necessary to achieve this high-performance state. If you’re like most people, however, you need to apply these skills in a more timely, complete, and systematic way so you can get on top of it all instead of feeling buried. 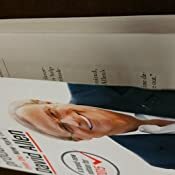 And though the method and the techniques I describe in this book are immensely practical and based on common sense, most people will have some major work habits that must be modified before they can implement this system. The small changes required—changes in the way you clarify and organize all the things that command your attention—could represent a significant shift in how you approach some key aspects of your day-to-day work. Many of my clients have referred to this as a significant paradigm shift. 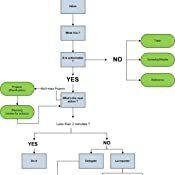 The methods I present here are all based on two key objectives: (1) capturing all the things that need to get done—now, later, someday, big, little, or in between—into a logical and trusted system outside of your head and off your mind; and (2) disciplining yourself to make front-end decisions about all of the “inputs” you let into your life so that you will always have a plan for “next actions” that you can implement or renegotiate at any moment. This book offers a proven method for this kind of high-performance workflow management. It provides good tools, tips, techniques, and tricks for implementation. As you’ll discover, the principles and methods are instantly usable and applicable to everything you have to do in your personal as well as your professional life.1 You can incorporate, as many others have before you, what I describe as an ongoing dynamic style of operating in your work and in your world. Or, like still others, you can simply use this as a guide to getting back into better control when you feel you need to. Almost everyone I encounter these days feels he or she has too much to handle and not enough time to get it all done. In the course of a single recent week, I consulted with a partner in a major global investment firm who was concerned that the new corporate-management responsibilities he was being offered would stress his family commitments beyond the limits; and with a midlevel human-resources manager trying to stay on top of her 150-plus e-mail requests per day fueled by the goal of doubling the company’s regional office staff from eleven hundred to two thousand people in one year, all as she tried to protect a social life for herself on the weekends. A paradox has emerged in this new millennium: people have enhanced quality of life, but at the same time they are adding to their stress levels by taking on more than they have resources to handle. It’s as though their eyes were bigger than their stomachs. And most people are to some degree frustrated and perplexed about how to improve the situation. In the old days, work was self-evident. Fields were to be plowed, machines tooled, boxes packed, cows milked, widgets cranked. You knew what work had to be done—you could see it. It was clear when the work was finished, or not finished. Time is that quality of nature that keeps events from happening all at once. Lately it doesn’t seem to be working. Now, for many of us, there are no edges to most of our projects. Most people I know have at least half a dozen things they’re trying to achieve right now, and even if they had the rest of their lives to try, they wouldn’t be able to finish these to perfection. You’re probably faced with the same dilemma. How good could that conference potentially be? How effective could the training program be, or the structure of your executives’ compensation package? How inspiring is the essay you’re writing? How motivating the staff meeting? How functional the reorganization? And a last question: How much available data could be relevant to doing those projects “better”? The answer is, an infinite amount, easily accessible, or at least potentially so, through the Web. Almost every project could be done better, and an infinite quantity of information is now available that could make that happen. On another front, the lack of edges can create more work for everyone. Many of today’s organizational outcomes require cross-divisional communication, cooperation, and engagement. Our individual office silos are crumbling, and with them is going the luxury of not having to read cc’d e-mails from the marketing department, or from human resources, or from some ad hoc, deal-with-a-certain-issue committee. 1. | The organizations we’re involved with seem to be in constant morph mode, with ever-changing goals, products, partners, customers, markets, technologies, and owners. These all, by necessity, shake up structures, forms, roles, and responsibilities. 2. | The average professional is more of a free agent these days than ever before, changing careers as often as his or her parents once changed jobs. Even fortysomethings and fiftysomethings hold to standards of continual growth. Their aims are just more integrated into the mainstream now, covered by the catchall “professional, management, and executive development”—which simply means they won’t keep doing what they’re doing for any extended period of time. Little seems clear for very long anymore, as far as what our work is and what or how much input may be relevant to doing it well. We’re allowing in huge amounts of information and communication from the outer world and generating an equally large volume of ideas and agreements with ourselves and others from our inner world. And we haven’t been well equipped to deal with this huge number of internal and external commitments. 1.0 out of 5 starsBuy the first edition, it's 100 times better! I read the first edition a few years ago and gave copies to everyone on my team. It was very actionable. This 2015 edition is not that. This new edition goes into more theory, but that makes it much harder to use as a concise guide of how to get things done. I loved the first edition, but the 2015 edition was tedious to read and I didn't have the patience to get through it. Too bad he ruined a good thing. It would have been better if he'd added a companion book with all the non-actionable theory, or separate chapters. The whole book summarise to , choose a day a week to write and review you plans and ideas. Organize them to immediate, delayed, and maybe actions. Done. Read 50 pages and then you will receive the same poorly written redundant information. 1.0 out of 5 starsThis picture is his model of how to get things done. The book is him talking about this for 267 pages. Look at the graph. You don't need 267 pages to understand how to use this. 5.0 out of 5 starsLOVE this book! WOW! Life-changing. This revolutionized my life. I have been well organized... but I didn't know how to organize the FLOW of paperwork in my life. How to keep my in-box empty. !! My desk was always a pile of paper that I didn't know where to put things... and I would actually lose things on my desk. Whew! NO MORE! I got the physical copy of this book as well as the CD version and listen to it going to sleep and waking up in the morning... when I'm driving, or exercising or doing something where I can just let the information flow through my brain again. The clarity and specific depth of insight and clear instructions have helped me to completely reorganize my office so that projects get completed and nothing backs up. I know EXACTLY what to do when I sit down... and then just go do it. I keep my in-box empty... (mostly... still working on it. At last my whole desk is no longer my in-box. LOL.) I'm blown away by this. I no longer feel the conflict of trying to focus on a project and at the same time thinking I should be doing something else. Everything is written down on my List. It's out of my field of concentration until I want to check my List and see all the random other little things I want to accomplish. Clear focus. Zen mind. Peaceful mind. Balance. Wow. I'm deeply grateful. 5.0 out of 5 starsThoughts on Allen's Getting Things Done - Build a structure for tasks, use it & clear your head. Great advice! Overall I found the book a very good read. It helped me crystallize a number of ideas about how to organize tasks using simple lists and structures. The over arching theme I took away is that it is important to have a good organized structured to put ideas immediately into and to trust the structure so that one can free one's mind from constant distractions. What should be put down in this structure are immediate things that are actionable, what one can do next -- as opposed to generalities, which require more thought. A key aspect of course is breaking down a larger task into these smaller actions. Allen describes a structure of immediate lists to look at, calendars, todo lists, reference lists and so forth. Other bins include an incubator list for long term tasks and a “waiting for” list, which has tasks that are pending from other people to be completed. This seems like a sensible arrangement but I suspect that other people will have somewhat different structures. My impression is that the important idea is not letting immediate short term distractions cloud one's focus on a task, and tackling things sequentially in little chunks. Allen talks a lot about avoiding infinite loops. He mentions that a long term plan is not something that goes on someone's tickler list but rather something that is broken up into many actions as opposed to only a few. Practically he discusses how in meetings, before the end of the meeting one really should bring up the question of what is the immediate next action that is a follow up from the meeting rather than just talking in generalities. 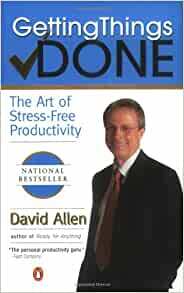 In the book Allen talks about the importance of having few distractions to really concentrate on the task at hand and one way of achieving fewer distractions is by designing a system to capture all of one's daily input into a well-designed inbox format. He talks about how if this is well done one does not have the guilt of constantly thinking about things that have to be done nor does one have to have the mental load of things constantly popping into one's mind -- given ones assurance that everything is captured in this universal inbox. He contrasts a company that has a way of capturing day-to-day tasks as smoothly running without people being interrupted with one that is constantly crisis and event driven. I read this book before the new 2015 edition came out. This new edition of course needs to be much updated for the new digital reality. The 2001 edition seems quaint, with its discussion of the correct file folders to use and how to organize things correctly in a close by file cabinet. It makes reference to a Palm Pilot but this seems almost prehistoric in today's age. That said, I really felt that the lessons in the original 2001 edition were quite timeless. One could easily see how they morphed into using email programs such as Gmail and perhaps even influenced the design of these systems. In fact, it is fascinating trying to connect a lot of the concepts in this book with the modern world of cloud computing, gmail and various online task sites. 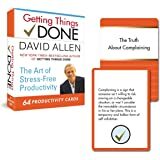 Many of these online productivity tools mimic very closely a lot of the ideas in Allen's work, particularly gmail's immediate function for archiving things from your inbox and putting various tags and stars on them. It fits very well into a system of de-cluttering your inbox quickly but then coming back to selected bits. Overall I would highly recommend this book, I think it is a good read. 5.0 out of 5 starsGet this Book! There is a lot people seem to miss with this system. Maybe the name is just to easy to replicate. 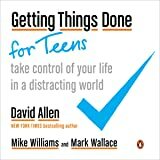 There are maybe 2 Apps I've seen that work well with what David Allen describes in his book. One is ThinkingRock the other I forgot because I didn't like it. I don't know how many people really appreciate the natural way ideas come together that Allen highlights (Purpose, Outcome, Brainstorm, Organize, Identify Next Action). Allen shows how people either go against the grain or when they bring someone along on the through their thought process, the brought along person doesn't get the essential information (Purposes and Outcomes) and has to work backwards before they can work forwards. He shows why many meetings are a waste of time. Etc. Etc. Etc. If you're tired of making to do lists and never finishing them, this book will tell you pretty much every mistake you've made and are going to make if you keep your pattern. Learning to use Allen's system is worth it but very difficult. If you wish you were more efficient, this book will give you a system that you can base yours from. If you wish... stop wishing and get this book.